Tip: Check back from time to time. More Skype for Business 2016 courses are on the way! 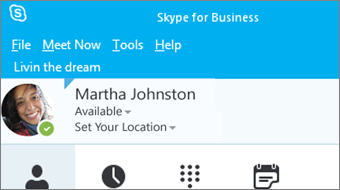 Get a tour and learn the basics about using Skype for Business 2016, such as how to add someone as a contact, see if they're available or busy, and how to IM them.